This site focuses on group travel, making it easier for large groups to book a trip together. It does away with the back-and-forth nature of group travel planning by listing travel options onto one page for all involved to see. This includes all flight, hotel accommodation, car rentals, and more. Stuck with a nonrefundable hotel room that you can't use? Roomer is the first online travel marketplace that can connect you with travelers who are looking for last-minute, discounted accommodation. In this way, you can think of Roomer as a kind of StubHub for hotels. 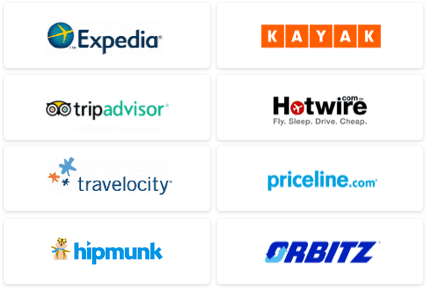 Travelers who are unable to use their non-refundable hotel room can list it on the website at a discounted price and voila – both parties save some money. This website allows for users to search for their “happiest” flights. 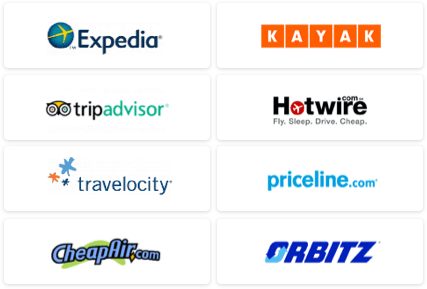 After typing in travel dates and the destination, the website gives you a list of options, ranked from high to low, that is focused on comfort rather than price. Each option is ranked according to a combination of "happiness" factors, such as bigger seats, nicer planes, entertainment options, WiFi, and whether or not the journey includes a layover, or is a red-eye. Launched this summer, and still in beta mode, Stayful is a booking site specifically for independent hotels – no chains. Currently the site only offers hotels in six cities – New York, San Francisco, San Diego, Los Angeles, Miami, and Chicago – so it's a bit limited, but it does incorporate an interesting feature where you can bid for your room rather than paying the full price. Like other bidding sites, there's no guarantees that your bid will be accepted, but we like this feature. We highlighted this new app just last month. CheckMate allows you to check in to your hotel from your smartphone. Rather than waiting in the lobby upon arrival, the hotel preps your room well in advance, using location data sent from your phone to verify how close you are to the property. You'll be automatically checked in before you even walk through the door. An added bonus is that the hotels can also offer you last-minute upgrades at a discount when you check in.